This Agreement was last modified on May 27, 2016. Please read these Terms of Service (“Agreement”, “Terms of Service”) carefully before using http://allergictraveler.net (“the Site”) operated by Allergic Traveler, LLC (“us”, “we”, or “our”). This Agreement sets forth the legally binding terms and conditions for your use of the Site at http://allergictraveler.net. 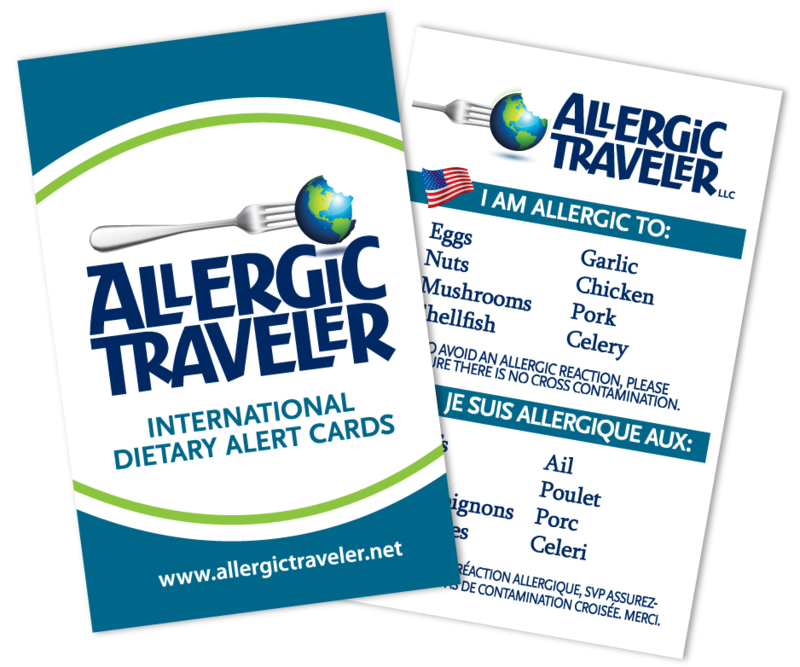 As each person’s food allergies are unique to them, so are our cards. Each card is created with pride keeping in mind the severity of such an important set of cards. As such, please note all cards are run through a translator and not a translation service. This means production time may vary depending on the work load of the translator. We like to ship all cards within 4 weeks but sometimes it may extend to 6. We have been known to ship in two weeks though! If a special date is required, please note it on your order. The Site and its original content, features and functionality are owned by Allergic Traveler LLC, and are protected by international copyright, trademark, patent, trade secret and other intellectual property or proprietary rights laws. Our Site may contain links to third-party sites that are not owned or controlled by Allergic Traveler LLC.